12 Volt, 5 Amp Fan on the propane furnace in my truck. It saves killing the battery when the truck is not running. Created Here: "Oct 24 2006"
Revised P-mos PCB Artwork: "July 13 2015"
It works VERY NICELY and also acts as an On/Off switch. "directly to the car battery". wiring, Especially as you turn things on. it to the negative of the supply. 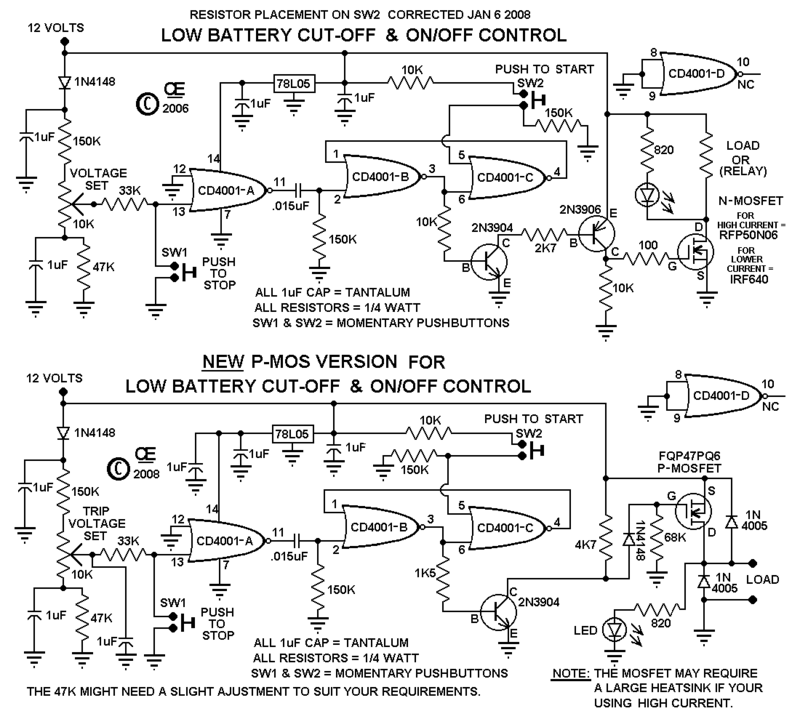 In this Situation, the Mosfet SINKS the Negative of the load to Ground. 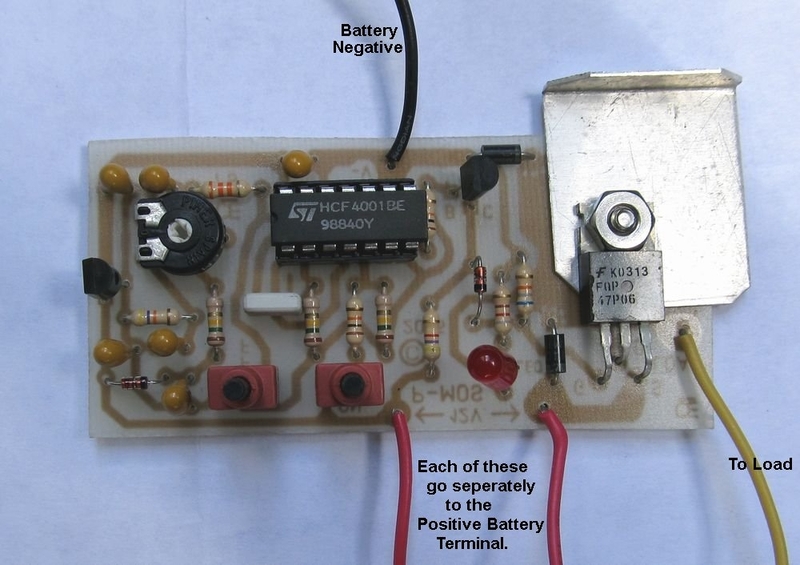 P-Mosfet to supply power to loads that are presently grounded. give you the appropriate range of control you require. ** This is due to Variation in these IC's. Resulting in a stable trip point of the IC. My Assembled circuit Board, in my truck." because I was intending to use this for Numerous Applications. Than I realized it wouldn't work on my furnace because of grounding. So I just added a relay to quickly solve the problem. "My New P-Mosfet version eliminates the need for a relay". 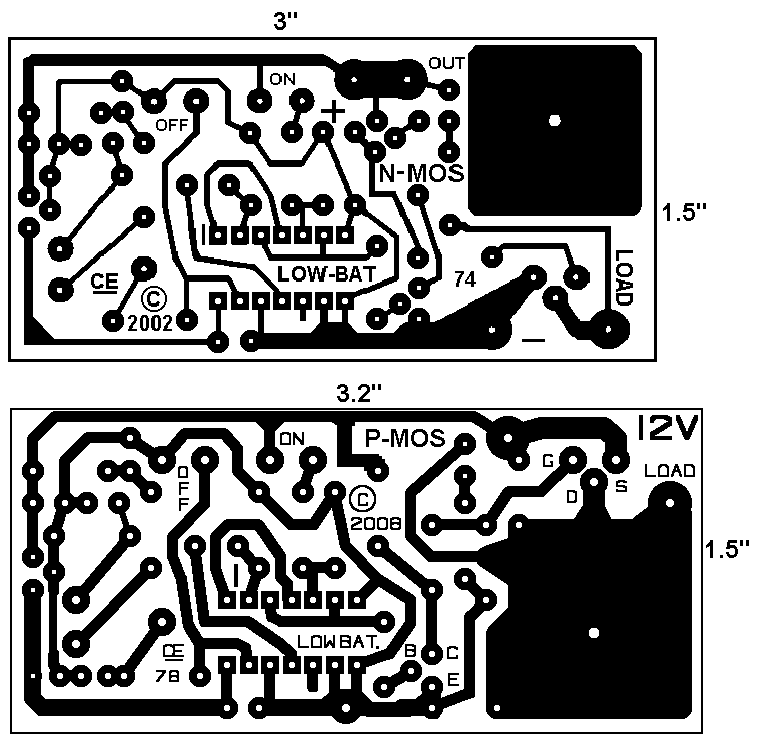 Click here for both "Schematics"
Click here for the two "PCB's"
Click here for Revised P-mos PCB Artwork." 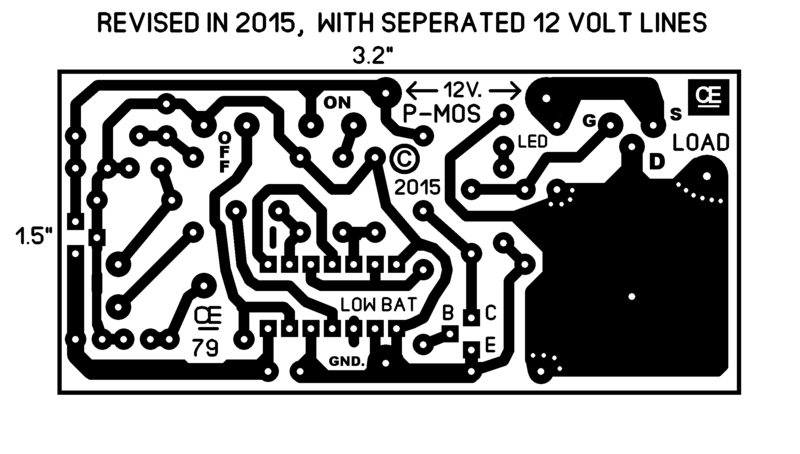 Revised Picture of the New P-Mosfet Version. 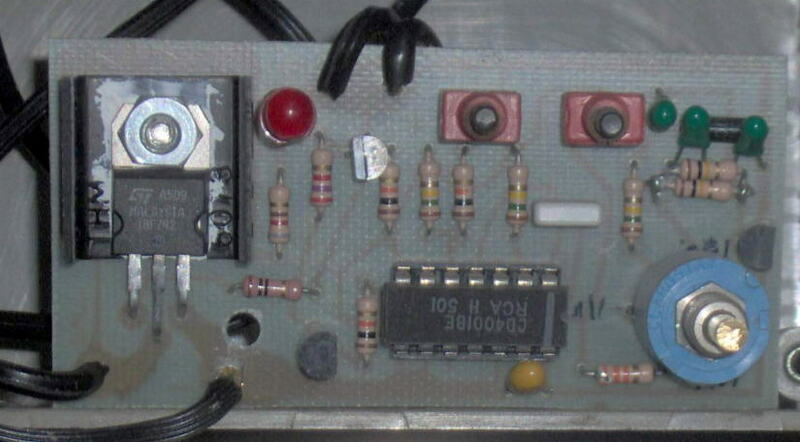 By Using Two Seperate Power Leads, It Prevents Errors in the trigger points, due to voltage drops in the wires.